Experience, learn about, and enjoy the fascinating multifaceted world of Japanese culture through Japan's temples and castles, traditional craftsmanship, and festivals. Japan is a nation consisting of more than six thousand islands. This staggering number of islands along with its temperate climate and distinct four seasons, combine to make a country many varied and interesting local cultures. Even though Japan, much like other neighboring East Asian countries, has been influenced by China and Chinese culture since the classical times, ever since the United States ended Japan’s long period of relative isolation in the 19th century, Japan has opened up to and embraced Western cultures from regions such as Europe and North America. While learning from other countries, Japan also successfully retains its own unique and beautiful culture. Nowadays, Japan is a place where anything can happen. Skyscrapers and small shrines stand side-by-side. Eye-popping modernity and long-standing traditions harmoniously coexist. It is an experience you cannot find anywhere else in the world. History plays an important part in Japanese culture. Many castles and streets are still preserved the way they were built. 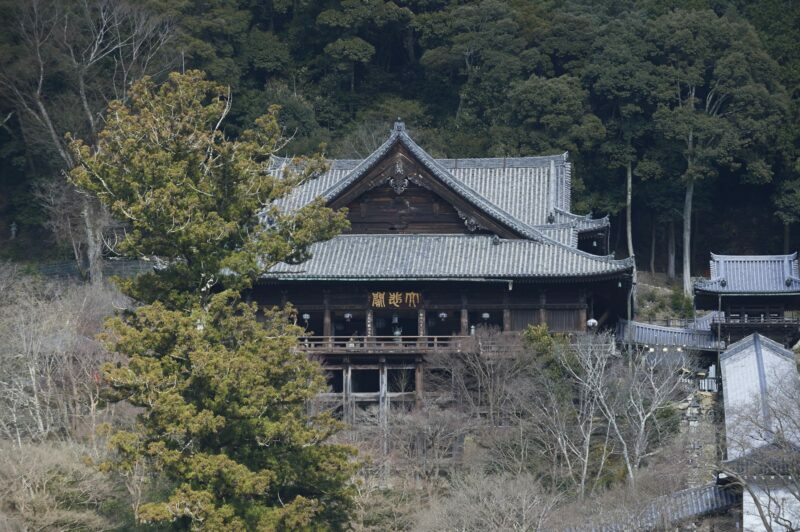 Having a polytheistic culture, there are also a lot of shrines and temples all around Japan. Influences from Buddhism and the traditional Shinto religion can be seen in these traditional architectures. Some of these castles and temples are listed as UNESCO World Heritage Sites. 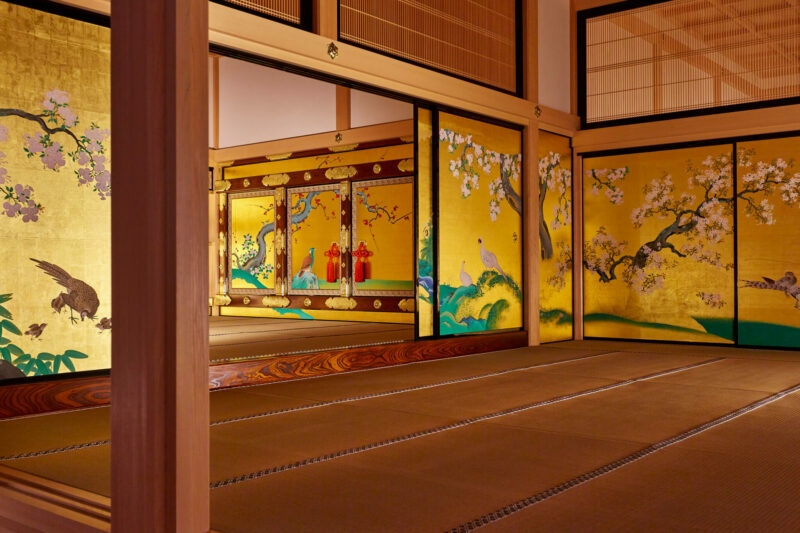 Visit these fascinating historical sites and various museums across the country to have a first-hand experience of the history and the culture of Japan. With a temperate climate, Japan has four lovely and distinct seasons. These seasons together with regional differences across the archipelago have given birth to various local cultures, customs, as well as “matsuri,” or festivals, in Japan. 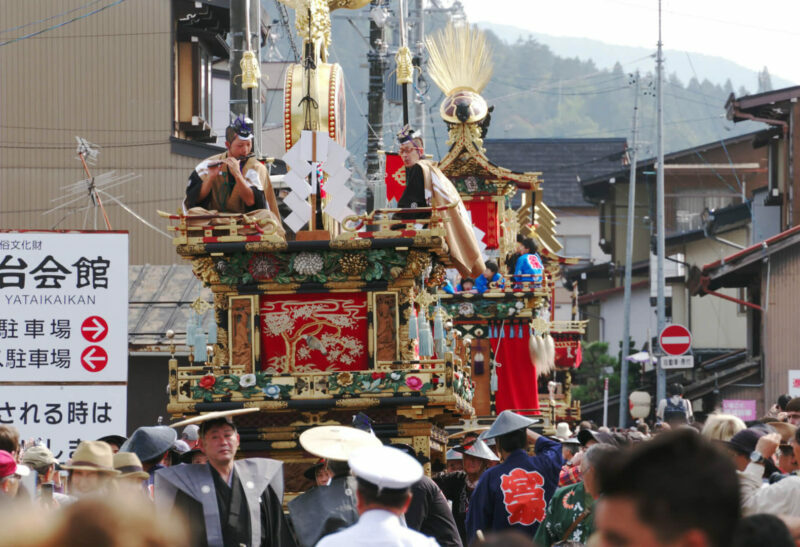 Deriving from the country’s unique Shinto religion, these festivals are closely related to Japanese people’s religious beliefs as well as customs developed in Japan’s agrarian past. Festivals, apart from a few exceptions, are usually clustered around traditional holidays. Most began in order to celebrate, or to pray for, good harvests. They often feature grand processions as well as local festival markets. As the festive atmosphere fills the air, people’s enthusiasm and excitment soars. Be sure enjoy at least one matsuri if you have the chance! One of the most famous things about Japanese culture, is its “Shokunin” spirit. Shokunin spirit means much more than just “craftsman” or “artisan,” it also evokes a celebration of the sheer joy and dedication involved in making something to the best of one’s ability. 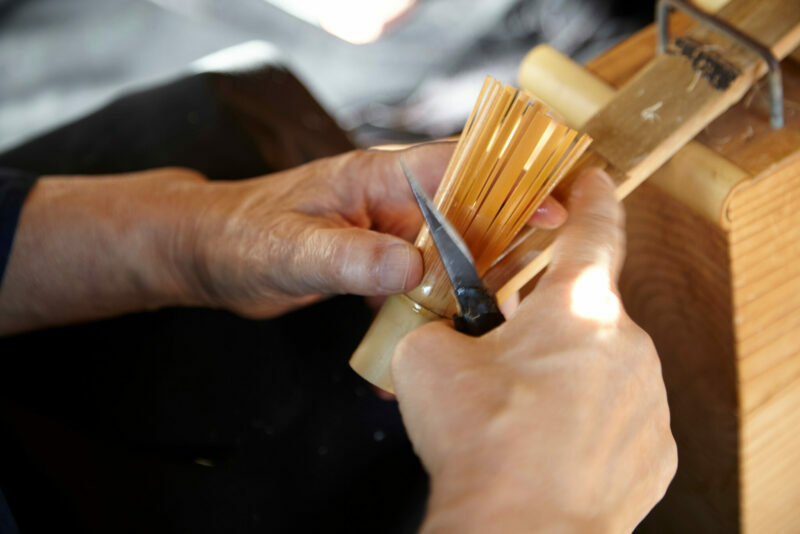 To this day, many Japanese people still dedicate their lives in preserving and passing down the traditional skills such as gold foil making in Kanazawa, bamboo crafts in Shizuoka, and traditional Japanese lacquerware, or “Japan,” making in Wajima. Other famous crafts also include Arita porcelain wares in Saga, brushes in Kumano, iron wares in Iwate, and much more. What’s more, most of these traditional craftsmen also provide hands-on experience to anyone who’s interested. You may sign up for these activities at towns around the country to make your own souvenir. 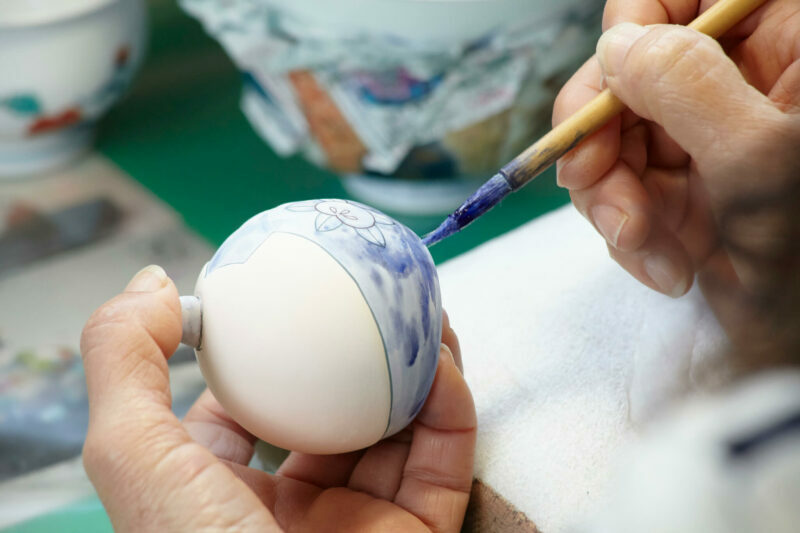 The “shokunin” spirit in Japanese culture give rise to many magnificent and exquisite traditional crafts. 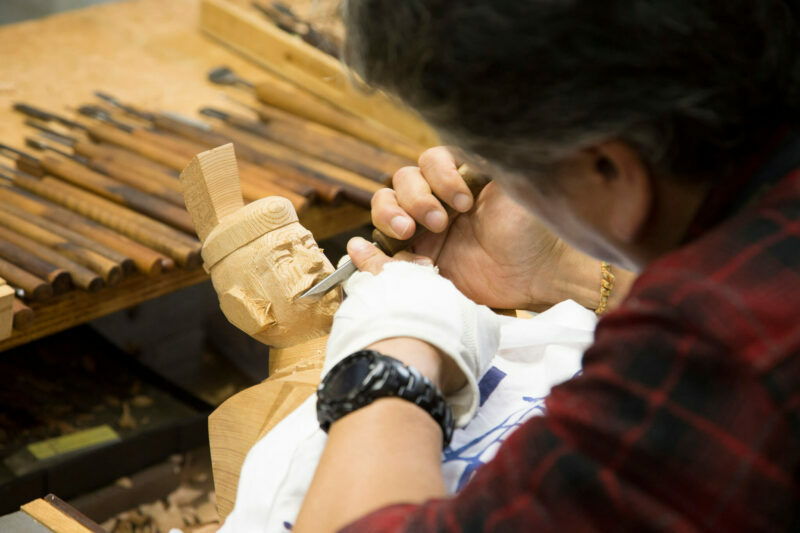 Thanks to the people dedicated to preserving traditional craftsmanship, today, we are able to admire these amazing arts and skills in Japan. There are many different local crafts communities in cities and townships all around Japan. You may even try out some DIY experiences at local crafts communities. Many such local crafts and art centers also offer DIY activities for tourists. For example, you may try out Kaga embroidery in Ishikawa, or make your own bamboo souvenir in Shizuoka. Kaga-Yuzen is one of Japanese traditional dyeing technique, Yuzen dyeing, which became popular around 17th century. Artistic pattern and the gradation are charactrized as this technique. 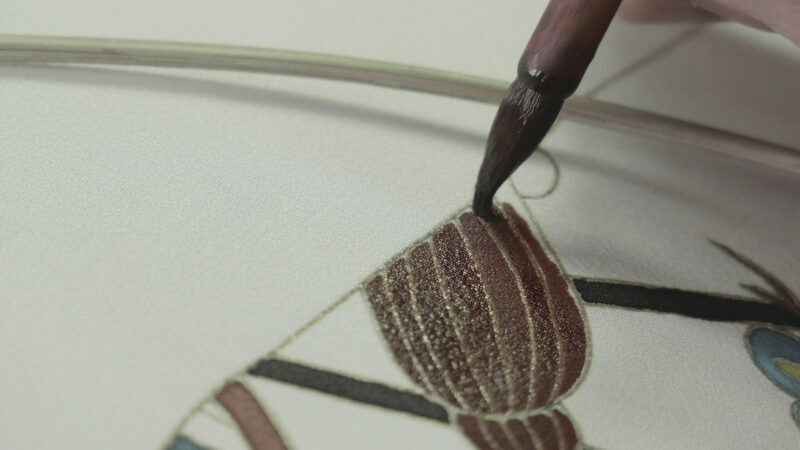 The history of traditional glass art Edo kiriko back into the end of Edo period (around 17th century). It is curved various patterns on the surface of tha grass gracefully. Kumano brushes are made in Kumano-cho in Hiroshima. Various types of brushes are produced with high skill, such as paintbrush and cosmetic brush. Learn about the history of Japan at the very spots historial events took place! 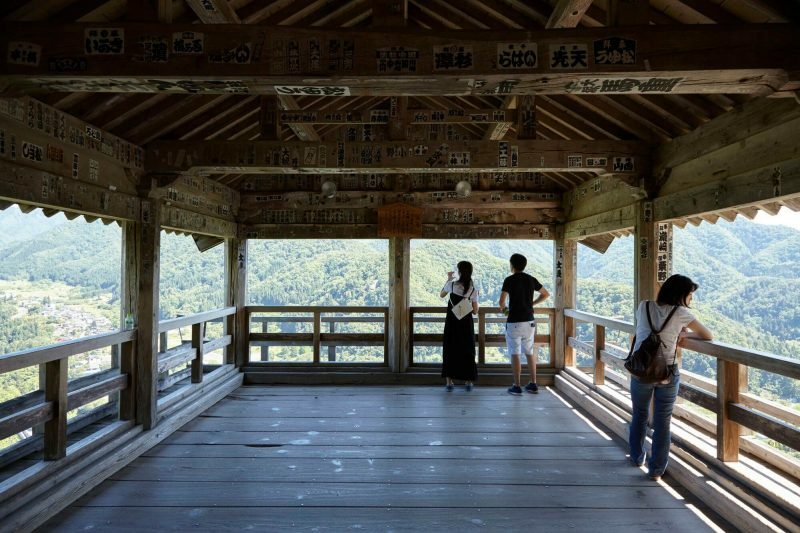 Japan dedicates much effort into preserving historical sites. To this day, many old castles, temples and streets retain their original forms. Nowadays, many of these historical sites carry more than their historical meaning, and are also popular tourist attractions. 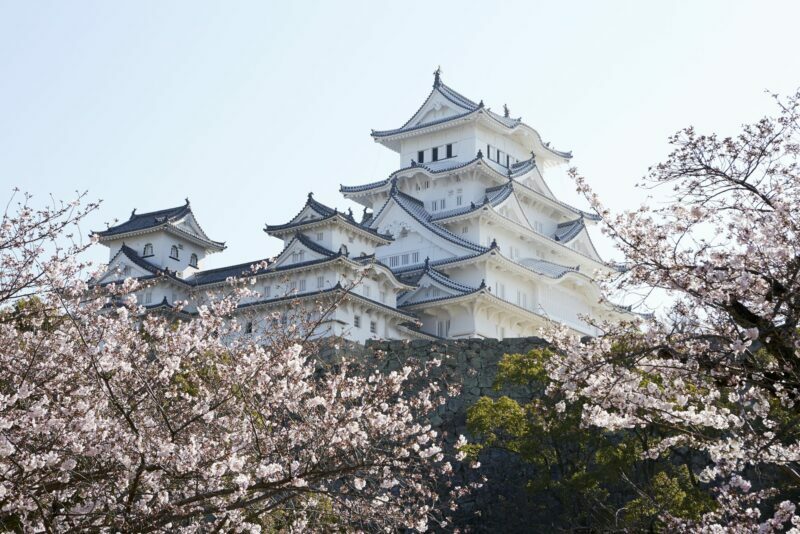 For example, dubbed as one of the three great castles of Japan, Himeji Castle also features as the background in many popular historical TV dramas in Japan. The histories of temples and shrines can go back hundreds to even thousands of years. Take a trip to these temples and shrines and learn about how culture and aesthetics are deeply rooted in the daily life of every Japanese people. Used to be imperial capitals of Japan in different historical periods, Kyoto and Nara are both ancient cities with rich history and culture. 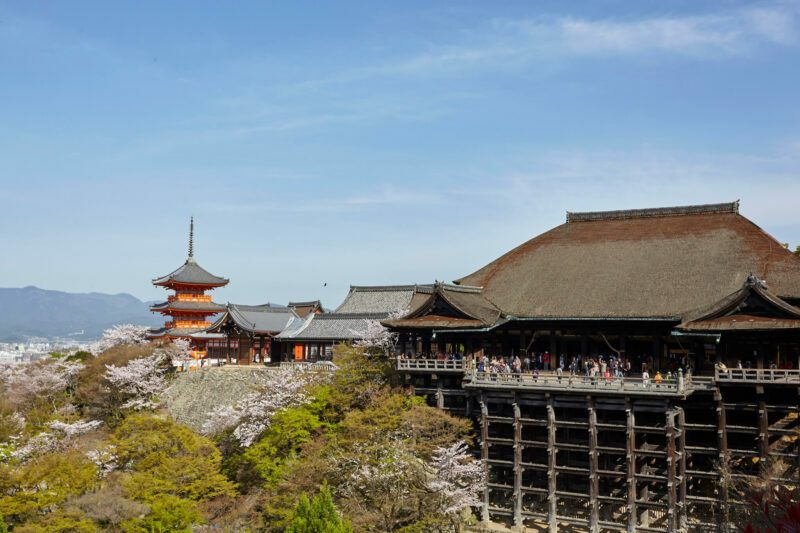 With many temples and shrines with historical meaning well-preserved, Kyoto and Nara are both listed as Historic Monuments in the list of UNESCO World Heritage Sites. For example, the Buddhist temple Byodoin in Kyoto is the design of Japanese 10 yen coin, and the phoenix of the Hall of Phoenix in Byodoin is also printed on every 10,000 yen note in Japan. Kimono, yutaka, and hakama are all fascinating traditional Japanese clothing. Kimono experiences can be found at many places in Kyoto and Nara. If you happen to be in these cities, why not try on some of these exquisite and beautiful traditional clothing and take a stroll at the local temples? 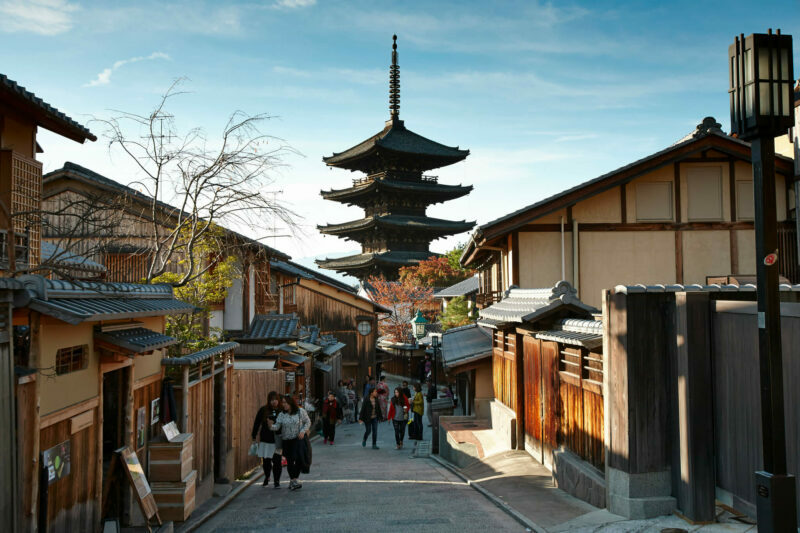 Kyoto offers you to step back in time as you explore historic temples and shrines in the ancient city. You can explore Japan's rich history and cultural traditions in the heart of Kyoto. Beautiful Buddhist temples, spectacular Shinto shrines and the excavated site of the great Imperial Palace make Nara the ultimate historical spot which is Japan's first permanent capital. Most of Japan's castles were originally conceived as fortress for military defense. They were often placed in strategic locations, but as towns and cities developed, some were built as centers of governance. As Japan used to consist of many states, there were at one point five thousand castles scattered throughout the country. Today, there are more than one hundred castles still extant in Japan. 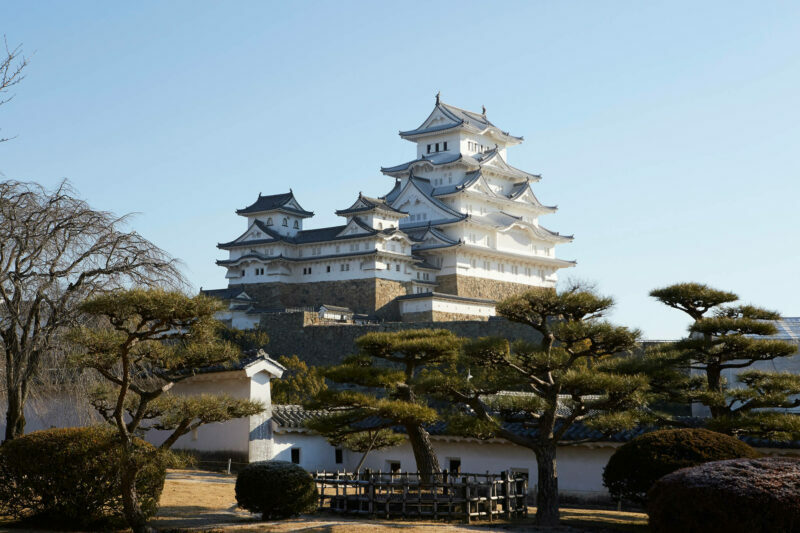 Some of the most famous castles include the Himeji Castle in Himeji city, the Kumamoto Castle in Kumamoto, and the Matsumoto Castle in Nagano. Generally well-preserved, most of the Japanese castles are open to the public for tours and exploration. Mostly managed by local governments, these castles often offer guided tours to tourists, and/or reenactments of historical scenes. At some of the castles, you might even have a chance to dress up as princesses, lords, warriors or ninjas! 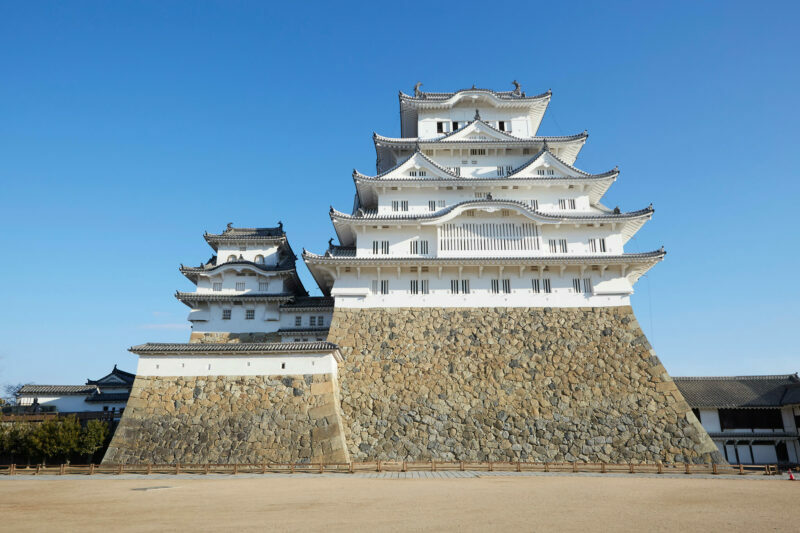 Himeji Castle is also known as the White Heron Castle and is both a Japanese National Treasure and a World Heritage site. 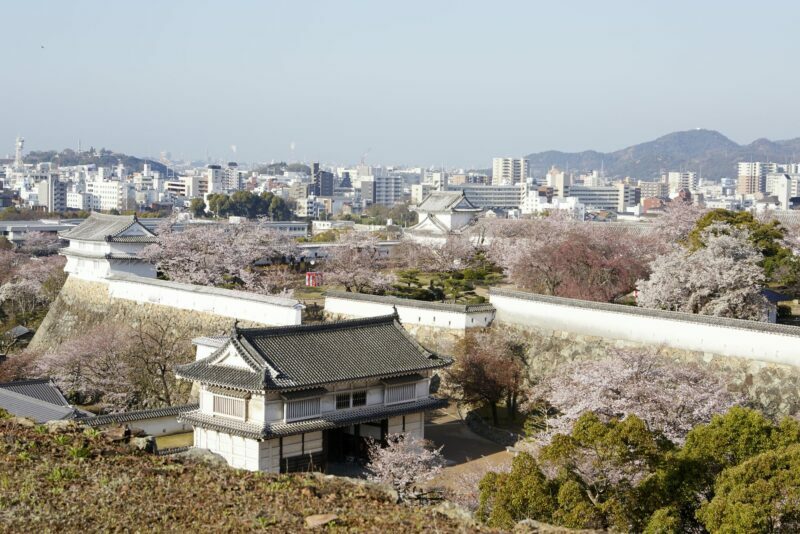 Its status as one of Japan's 12 remaining original castles makes this fortress a must for anyone interested the history of Japan. Symbol of Nagoya and military might, with samurai on the grounds and crowned with golden dolphins. 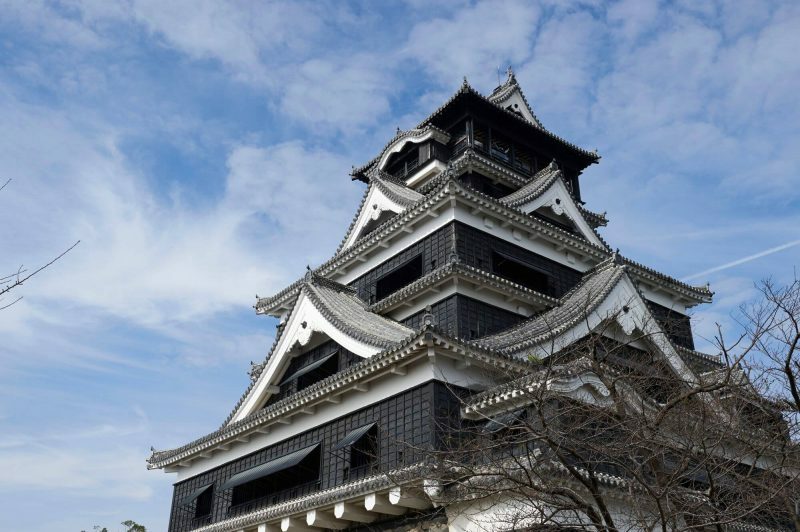 Though destroyed by World War II air raids, this reconstruction of the 17th-century castle serves as a dramatic reminder of the importance of Nagoya throughout Japanese history and is the city's main tourist destination. Despite the damage it suffered in the 2016 earthquakes, Kumamoto Castle remains the top tourist attraction in the city and welcomes nearly two million visitors every year. With its imposing black exterior and sloping ramparts, the castle was particularly difficult to break into and was designed specifically to discourage ninjas from attacking. 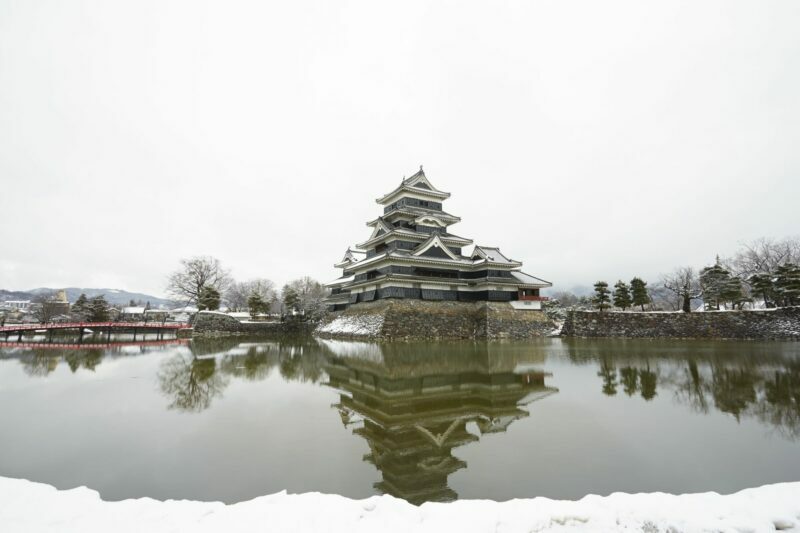 Matsumoto is home to one of Nagano's most striking and historic sites, the famous Matsumoto Castle. This medieval fortress, a National Treasure, is one of Japan's premier historic castles and should not be missed if you're passing through the Nagano area . Want to learn more about Japanese history, culture, and arts? Then Museum is just the place for you! Set foot in the Edo-Tokyo Museum to travel back in time! Established in 1993, the museum's permanent exhibits include a life-size replica of the first wooden Nihonbashi (Japan Bridge) as well as scale models of buildings from the Edo, Meiji and Showa periods. To get a real feel of the history, you may even interact with some of the models here! Kimono, traditional Japanese outfits, are now mostly only worn for formal occasions, but some Japanese still wear them in their daily lives. Edo-Tokyo Museum offers a free-of-charge kimono experience. 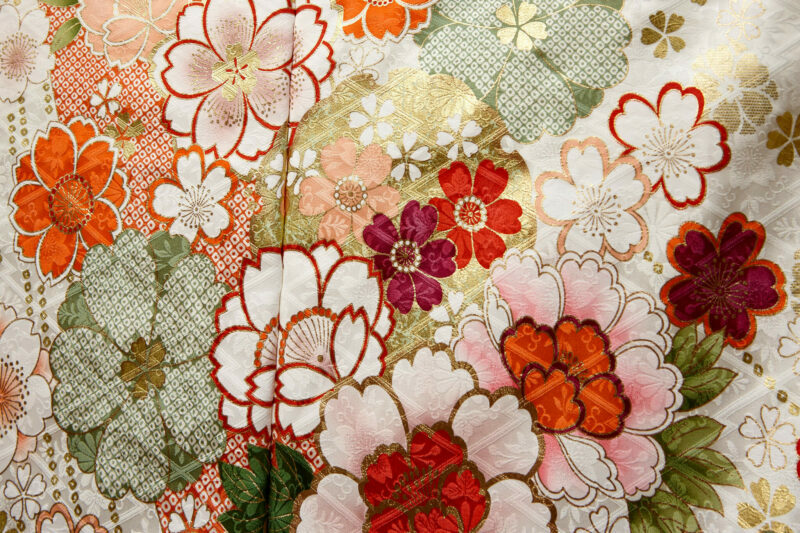 Put on an exquisite traditional Japanese garment and take a stroll along the streets of Edo period! Established in 1872, Tokyo National Museum is the first museum established in Japan. This museum of arts and culture prides itself on its comprehensive collection of artworks and antiquities from Japan as well as other Asian countries, including numerous paintings and works of calligraphy as well as samurai swords from ancient Japan. 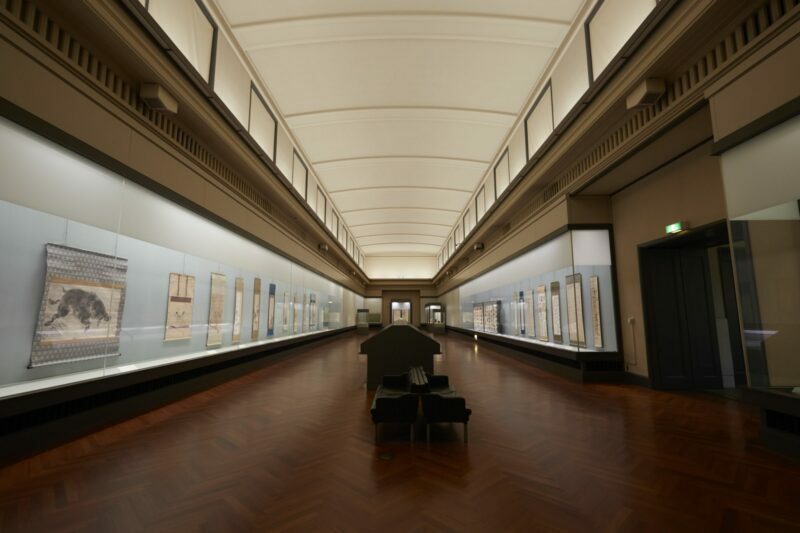 Tokyo National Museum offers an array of activities, workshops, symposiums and concerts. There are even interactive stamp collecting activities for children. In short, there is something for everyone. Deeply rooted in Japan's unique Shinto religion and traditional agrarian lifestyle, Japan is a country with a vibrant “matsuri” culture. Matsuri is the Japanese word for festival. Festivals often center around traditional holiday, for example Setsubun (the spring equinox marking the change from winter to spring) and Obon (or Bon Festival, a Japanese Buddhist custom to honor the spirits of ancestors). Also almost every region and town as at least one matsuri in late summer or early autumn to celebrate, or to pray for, a good harvest. These festivals often feature grand processions, festival markets and other local celebration activities. Some of the most famous festivals include the Nebuta festivals of Aomori, the Kanto Festival or Pole Lantern Festival in Akita City, and the Eisa Festival in Okinawa. Want to get the fullest and the most authentic Japanese experience? Then you mustn’t miss Japan's matsuri! Tohoku in Japan's north is home to three of the nation’s most colorful summer celebrations, which are held around the same time. Nebuta and Neputa festivals in Aomori are some of the most marvelous and popular festivals in Japan. Accompanied by live music and energetic shouts, the enormous brightly colored lanterns float through the sky and are paraded down the streets. 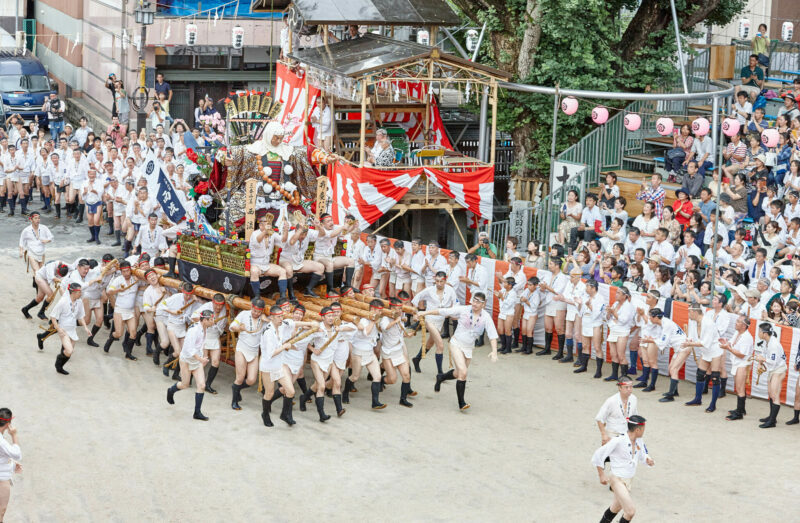 Living through long harsh winters, the people of Aomori enjoy celebrating their short summers with such majestic festivals. 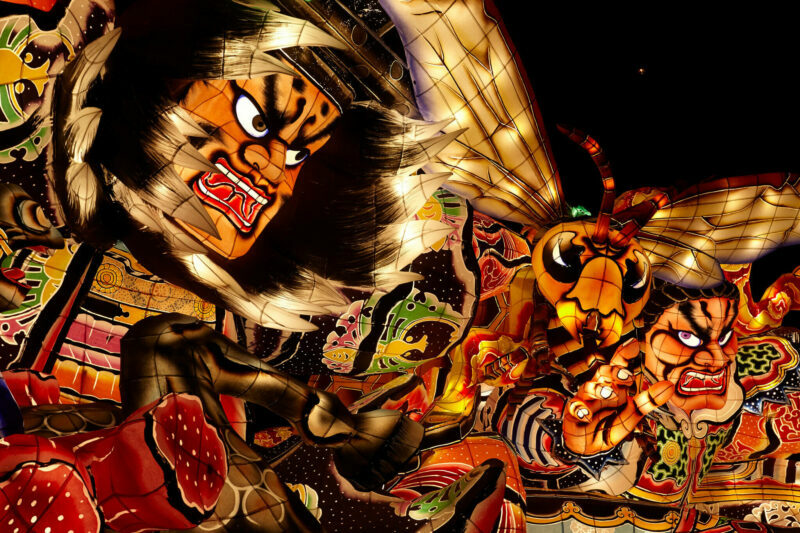 Join the Nebuta festival, held every year from August 2nd to 7th, to watch the stunning parades and beautiful fireworks. Don’t worry if you can’t make it to the main event. The city museum also has permanent exhibition of Nebuta all year round. 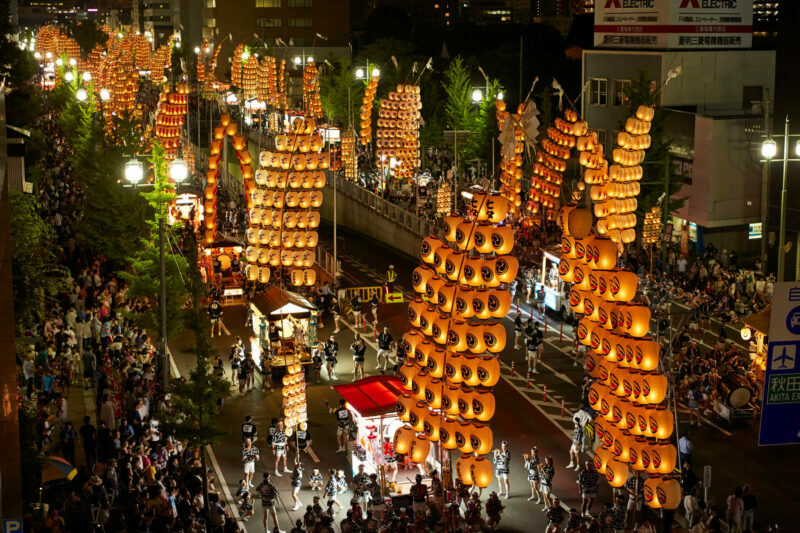 In hope of good harvest, Akita City holds Akita Kanto festival (Pole Lantern Festival) every year from the 3rd to the 7th of August. Poles, some five to twelve meters in length, bearing lanterns and weighing up to fifty kilograms are carried through the city at night. Participants carry these poles balanced upon various body parts like their palms, shoulders, lower backs or foreheads to showcase their skills. Kanto Festival, Aomori’s Nebuta Festival and Sendai’s Tanabata festival make up the “three great festivals” of the northeast region. 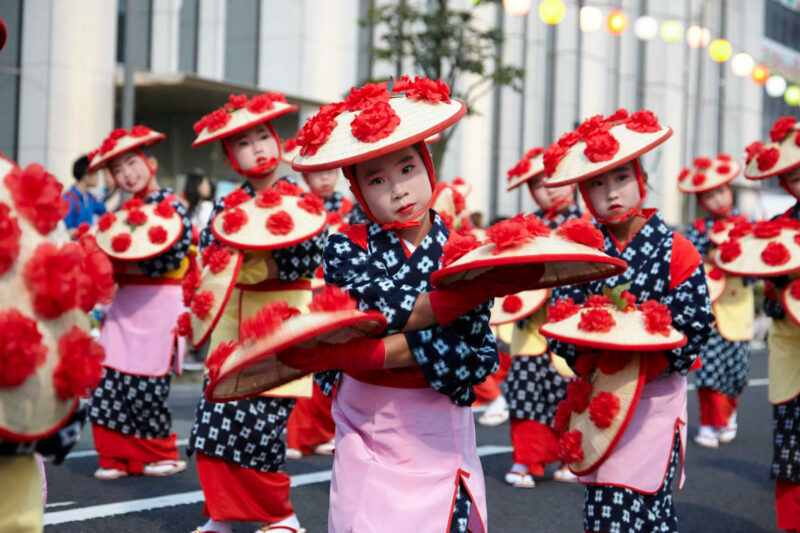 The Yamagata Hanagasa Festival takes place August 5 to 7 and celebrates the traditional music and dance of the region in one of Tohoku's largest parades. Moving to the hypnotic rhythm of taiko drums, some 10,000 local dancers in dazzling costumes follow gorgeously decorated floats. 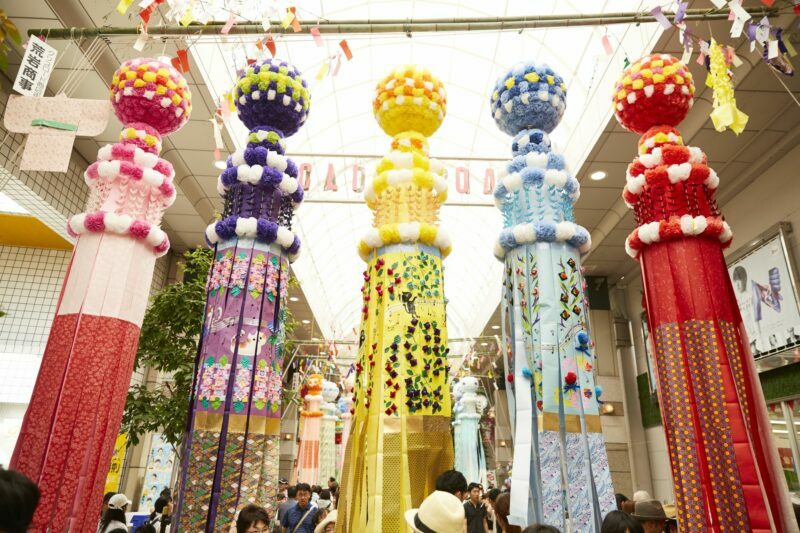 The biggest Tanabata festival is held in early August in Sendai, Miyagi. People walk down the shopping arcades filled with huge, vividly colored handmade streamers in their finest summer kimono. Believed to originate from a Japanese Buddhist priestly dance and a traditional harvest dance that said to be last for several days, Awa dance is also nicknamed Ahou dance, or “fool’s dance” in Japanese. The lively and sometimes even frenzied dance style is traditional to the Tokushima Prefecture. It is typically accompanied by traditional Japanese instruments including shamisen lute, taiko drums, shinbone flute and the kane bell. 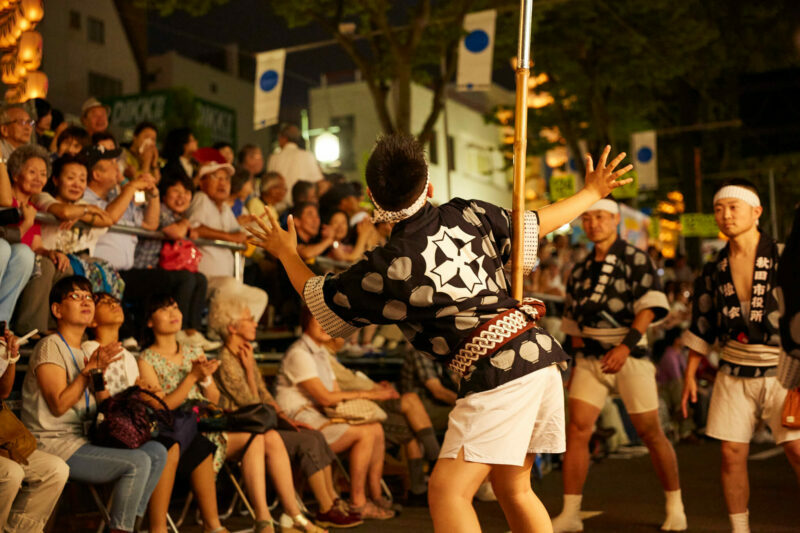 Each year from 12 to 15 August, a city-wide Awa Dance Festival is held and everyone in the city is welcomed to join in the joyful dance parade. Visit the Awa dance center to see performances and learn about the history behind the dance. You can also learn the dance from the performers, even join them on stage! Come and enjoy the lively and cheerful dance! The Awa Odori Kaikan is the perfect place to learn about and try one of Japan's most famous traditional dances. The dance, performed around Obon (mainly mid-August) when the spirits of dead ancestors are honored, goes back about 400 years. Being the southeasternmost island of Japan, Okinawa celebrates a quite different yet no less vibrant local culture from the mainland. Eisa, a form of local dance, is one of the most prominent elements of such local culture. On the first weekend after Obon every year, the All Okinawa Eisa Festival is held across the island. The tradition began in 1956 and is now the largest Eisa event in Okinawa. 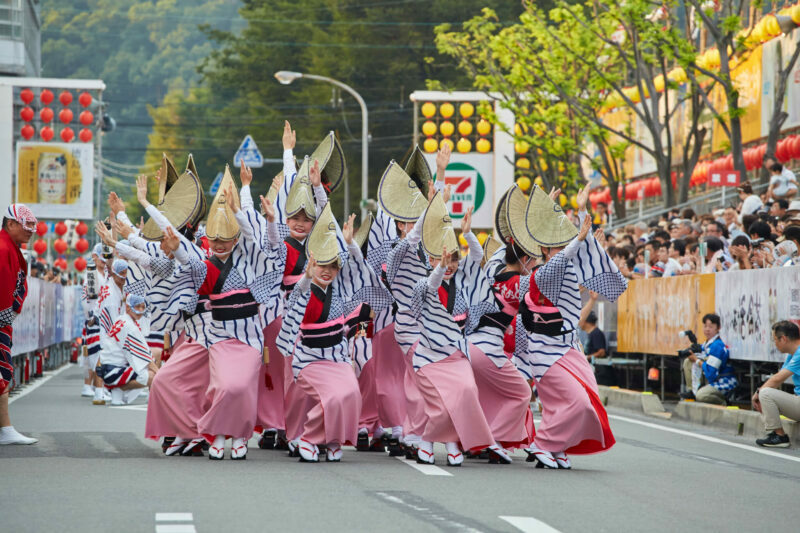 During the three-day festival, people dance Eisa dances in parades to lively music. Each group showcases their own unique style of Eisa. Hear the lively rhythms of taiko drums as you watch the Eisa dancing at the annual Eisa Dance Parade. The Orion Beer Festival is also held close by so you may watch the wonderful performances while enjoying the local beer. Eisa is Okinawa's traditional dance, which is peformed during Bon festival (Japanese Buddhist event for celebrating ancestors). You can learn and experience Eisa in Eisa Museum.